- excellent, no dust or crud internally. - cards and cables appear in excellent shape. and then the halt light stays on. system will be a whole different project, I tell you what. > a close up of the T section of the prom card. >engineering of the modified board will probably be in order. >them, leaving the other addressed as bank 1. Try booting up with just the one board. >with a couple of wires had to cause major changes in the way the board works). 16KRAM_redSW1.jpg (it was hard to get a good pic, and I am unsure exactly what the "on"
promcard_modT.jpg - a close up of the T section of the prom card. Someone made faint markings not seen in picture, next to port slots. Finally got back to this one. With new knowledge since 2005, was able to quickly determine proper settings for all cards installed in system. Updated pictures. Hopefully this system will be running soon. Pictures Note that new pictures have 2008 file dates. Bob Grieb and Herb Johnson stopped by my house to work on a system of interest, a pick a project day. We settled on the Altair 8800b turnkey, thinking that this would be an easy job...not so. The goal - get to a . prompt at 9600 baud. We worked for about 8 hours and were only partially successful. 3. Confirmed that the TURNMON code was correctly being loaded into memory (F8?? 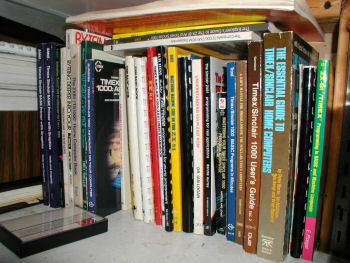 ), and we could toggle the front panel to read the ROM program one step at a time. 4. 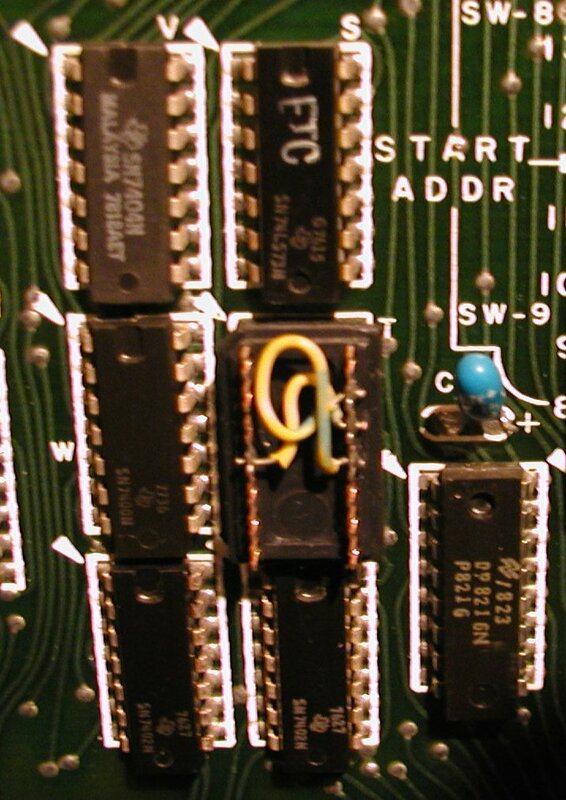 For some reason the LS73 chip in position T on TURNMON board was swapped by the original owner with a socketed set of jumpers. Bob/Herb could not see why this was done after careful inspection of schematic. The jumpers were permanently tied to power and ground. It has a Q and Q bar output. 5. When we attempt to run the turnkey program, we get a single carriage return to the monitor and then the program crashes. NEXT: get a LS73 and replace the mod referred to above. Possible problem - RAM or ROM on the prom card is flakey. Replaced the jumper modifications in the T socket with a LS73 (per schematic) - voila! works more or less. I can retrieve memory one address at a time, and write and re-retrieve one address at a time, but I cannot dump the memory (using D command such as D000000 000070). It'll display gibberish as it executes the dump. I double checked the baud and SIO settings, given that I can perform memory writes, I believe my setting are correct. I very carefully re-checked just to be sure. I experimented with a lot of variations. 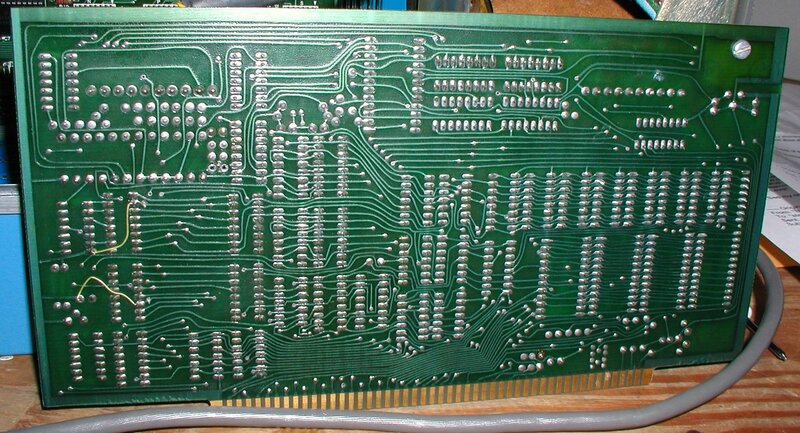 This effect is similar to the issues we were having when using the front panel to diagnose the system. get useful display terminal output like the 680b monitor. carriage return and line feed and then returns to the Monitor." Conclusion - it's supposed to look garbled, it's "garbling" as if an octal output with no control characters would look running through an RS232 terminal with only baud and parity controls. I guess I am done for now! The RAM is apparently OK, the terminal OK, I reduced the baud from 9600 to 1200 for no reason. UPDATE: See thread on loading BASIC.